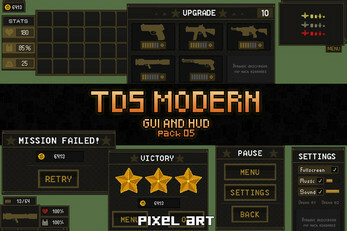 We publish for you Free TDS Game UI Pixel Art. 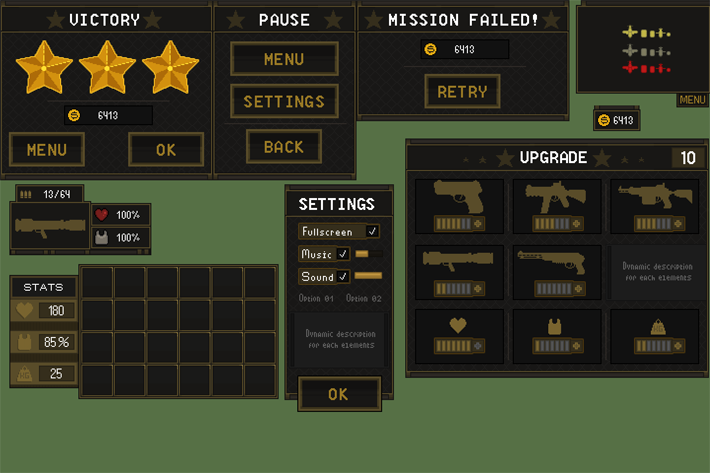 There are several windows in the set: victory, defeat, pause, settings, improvements, map, inventory. 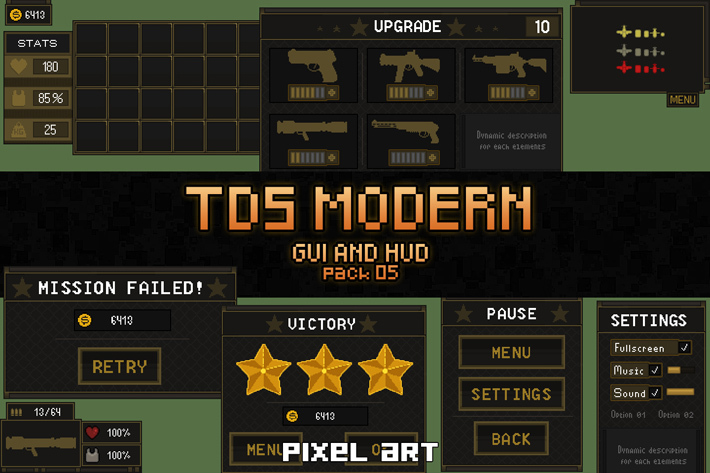 In the archive you will find PNG files. 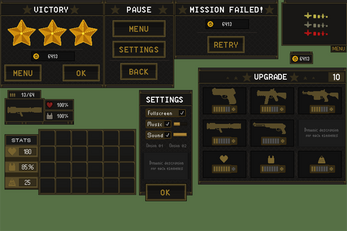 You can use them in your game projects (commercial or free). Good luck to you!